Our Taizé services, held several times a year, have traditionally been attended by adults. For the service scheduled midway through Lent we wanted to make it more of an intergenerational event. How could we make Taizé more experiential while retaining its contemplative nature? How might we introduce Taizé to families with children? How could we tap into scripture with baptismal and Lenten themes paired with the music of Taizé? This and other questions led to our creation of a Taizé Intergenerational Liturgy held on the afternoon of the Third Sunday of Lent at my home parish, St. Matthew’s Episcopal Church in Wilton, Connecticut. 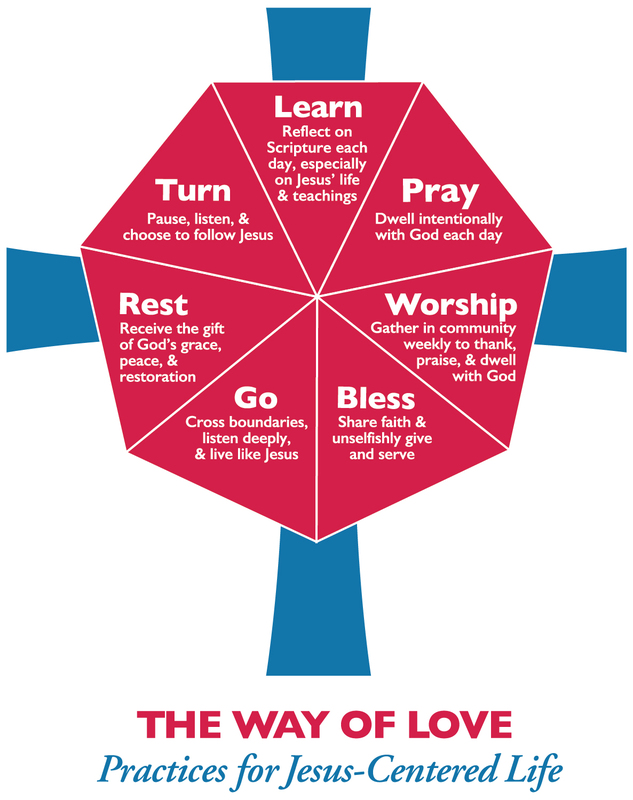 Our team (Marissa Rohrbach, rector; Fiona Smith Sutherland, music director; Becky Hudspeth, children’s and youth minister; and myself) created two other events this program year (The Way of Love and Advent) and wanted to build upon those. Then two of us saw a post on Building Faith by Charlotte Preslar entitled “Creating Prayer Bottles” that had been developed as a sensory prayer experience before Lent began. We knew we had found our experiential, contemplative missing element for our Taizé service. In advance, we ordered our supplies and sorted all the “pieces” in little containers for easy use with little hands and less mess. We set up a simple focal point of tables of various sizes and heights, with chairs surrounding them on all sides with ample room to move between them all. Around the perimeter of the chairs were six 6-foot tables, while near the entrance the piano and small adult choir and an instrumentalist sat. Battery-powered candles (the ones that looked like they had flickering flames) were scattered on the focal tables and piano. A variety of icons were placed on the tables as well as small terra-cotta pots filled with sand. A large clear glass bowl was filled with water and placed on the center of the largest altar table. Scattered on the floor were tall bottles filled with warm water and a basket of thin, long tapers (candles). Torches (from the sanctuary) stood on either side of the tables and our processional cross was placed in the center back of the room. Four of the volumes of my Faithful Celebration series books. Many of the formative experiences in life happen when several generations are together. Think about it – when were you fully engaged in learning about Jesus or living out your Baptismal Covenant? Surely it wasn’t when you were alone. Perhaps it was in serving others or immersed in a worship service. Most likely there was more than one generation present. In our society we tend to separate people by age mainly for education and employment. In the recent past, Christian formation programs have made the same separation of generations, but more and more formation educators are offering programs in which adults and children learn together. It is a way to pass on faith – generation to generation. Old learn from young, and young learn from old. While Sunday mornings may still sadly be the most segregated time in our country (at least for mainline church-goers), it is the most generationally diverse time many of us experience all week. Our worship involved young and old, and every age in-between at worship. What might have been used in children’s materials in the 1950s or 60s. If it’s April it must mean I need to update my curriculum charts. So here’s the first installment, focusing on resources that I would consider curriculum for children – meaning they include lesson plans for a teacher to use in a formation setting. By children I mean those between the ages of birth (nursery) through age 12 (5th grade). With every year comes some new resources while others cease to be published. There has definitely been an uptick in the number of curricular products now available as downloadable documents, either as pdfs or editable docs. Illustrations are more modern and represent more diversity, although I sometimes wonder if publishers are jumping on the “Disney Wagon” in making everything look like a cartoon, including a princess or two. Costs are definitely going up (the cost of paper has skyrocketed this past year due to tariffs); perhaps another reason why downloading materials is becoming more prevalent.